I have to just say I love this page! Also I am not a fan of itty bitty paper pricing on Disney characters! 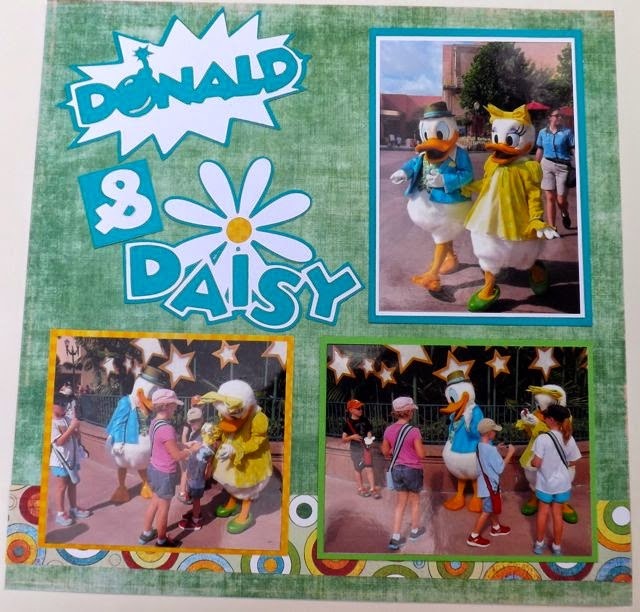 I learned a lot about paper piecing after my original failure at making Donald and Daisy in full body! Google is your friend! Once I saw how they layered it and read my Cricut manual with the Disney cartridge it was much easier! 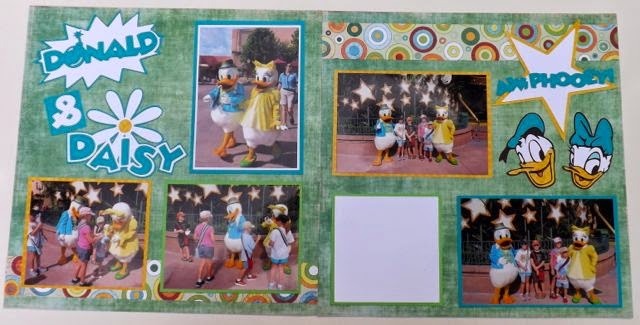 Donald and Daisy were dressed invert non-traditional Disney colors so I decided to go with it and use this paper that worked perfectly with their outfits! It really worked well and complemented the pictures perfectly! 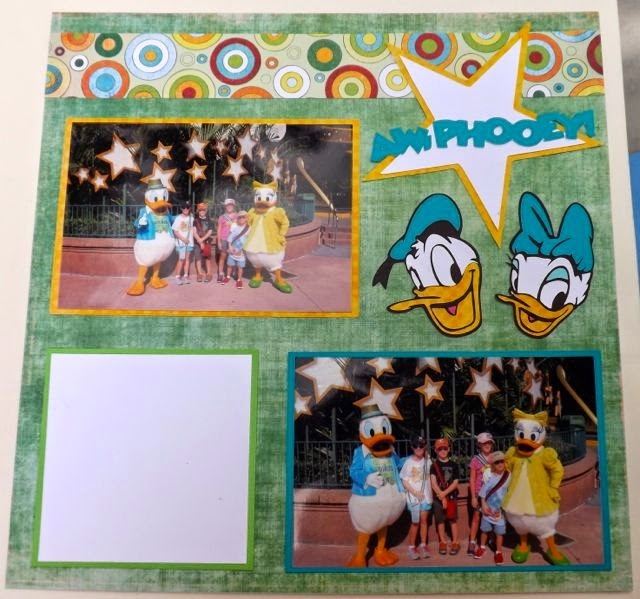 The photos were taken at Hollywood Studios and I added the star on the right page to try to show the Hollywood part of the page! The background paper and printer paper were both random papers from my stash but all the cardstoc was CTMH! Lagoon, Pear, White Daisy and Black! I love using my stash and showing that Disney pages do not have to be traditional Disney colors!